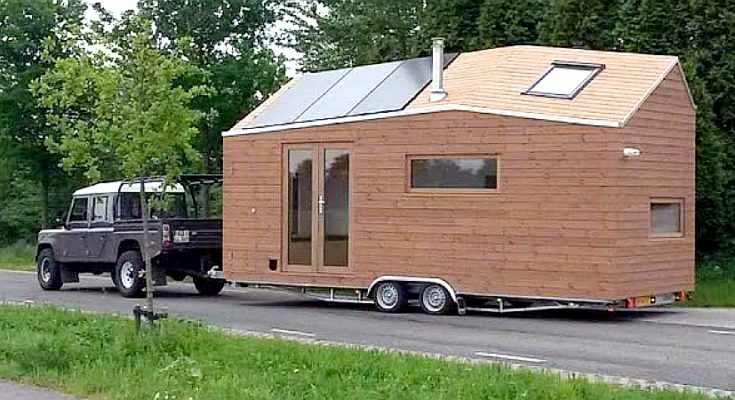 Tiny House on Wheels – Surprisingly Light Interior! This tiny house on wheels has the distinction of being the “first legal tiny house in the Netherlands.” The owner actually not only lives in the tiny house, but also drives it around the country giving talks about living in a tiny home. 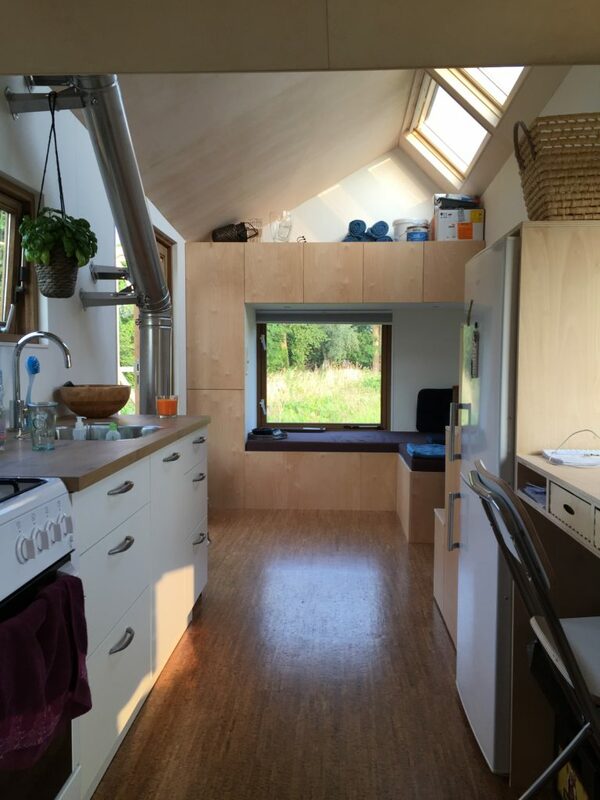 Tiny house living is also the subject of the owner’s website, Marjolein Jonker (Dutch language site), which talks about her life with her two cats in her tiny house. 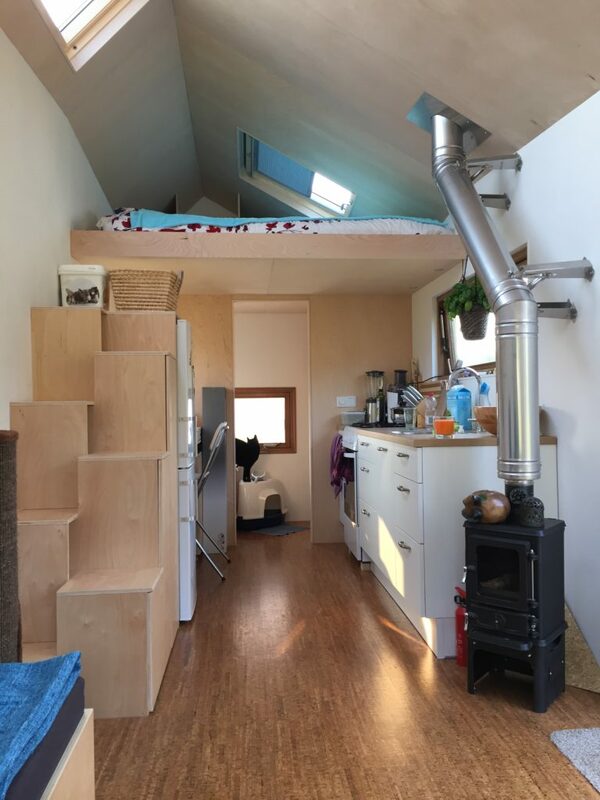 The thing that you might notice about this tiny house though — looking at that picture above, it looks quite small, and like it might even be dark inside. But actually, the light wood tones and white finish, as well as the interior layout, make this small house quite airy and light inside. There are actually a lot of windows to let in sunlight. 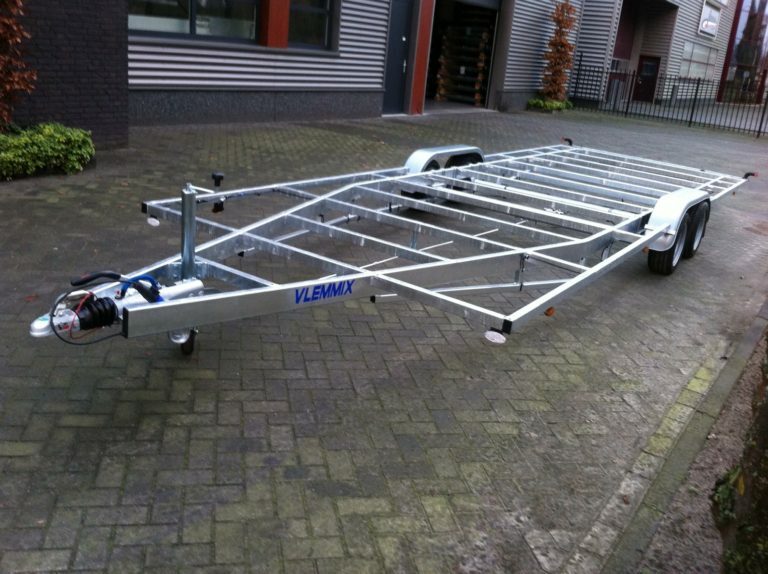 It was designed by Buro Walden, a Dutch designer, and built by Tiny-House.nl. To see more of the Dutch builder’s work, find them in the Building Homes and Living directory.